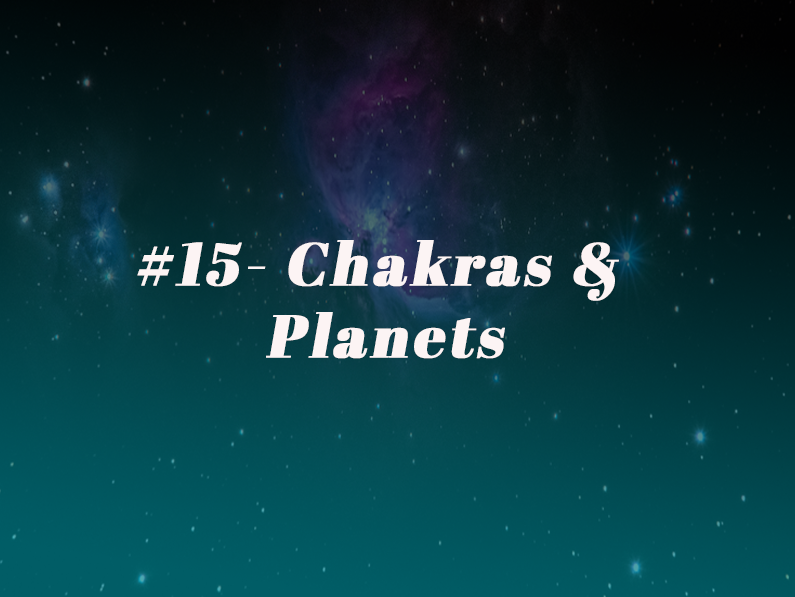 Episode 15 - Chakras & Planets - Alanna Kaivalya, Ph.D.
I’m excited to talk to you today about two of my most favorite topics. Chakras and astrology. Now, I know that it seems like these two things don’t go together but in reality, they do. And today, you’ll learn how each of the astrological planets actually exists inside your body. We’ll dive into yoga psychology, astrology, and the chakras, and you’ll learn how to achieve a greater sense of well-being for yourself and your clients. Now, you’ve heard me talk about astrology and the chakras before, and if you missed those episodes, I want you to head back to Episode 6 where you’ll learn more about astrology and yoga and Episode 3 where you’ll learn more about the chakras. Astrology is an important part of any mystical tradition, and that’s why I bring it in so much in the work that I do. So today, we’re going to learn about the confluence of astrology and the chakras. The chakras are energetic centers in the body. My hope is that this podcast helps you come to understand the great alchemical principle “As above, so below” that these planets, these energies live within us. And I hope that you understand a little more why astrology is actually an important tool for the modern mystic, for you, as a spiritual leader, and how the knowledge of the planets, as well as the chakras, can help us go more deeply into our own healing path, and to help others on their path to well-being.